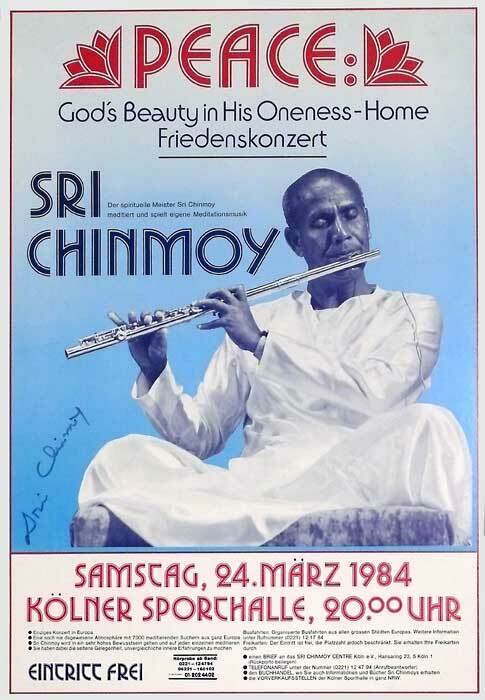 Today marks the 39th anniversary of Sri Chinmoy’s big Peace Concert odyssey with a major performance at the Sporthalle in Cologne, Germany. 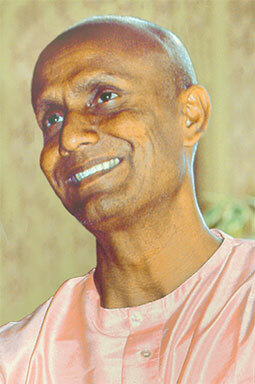 Thousands of people came to this event from all over Europe and what is most important Sri Chinmoy himself considers this concert as his best and most favourite. I am happy that I still have an original poster of this concert which was entitled “Peace: God’s Beauty in His Oneness-Home” and above all it is signed by the master himself. I am also happy that RadioSriChinmoy just released a 52-minutes audio summary of this historical concert featuring performances on the flute, cello, esraj, harmonium (with singing) and his dedication to Germany.